HKEX announced the launch of futures contracts on MSCI China A Index. SGX’s February Derivatives Daily Average Volume (DDAV) growth was flat at 1.4% y-o-y, the lowest in almost two years. SGX’s derivatives business accounts for c.49% of total revenue in 6M19. We downgrade to ACCUMULATE at a lower Target Price of S$8.17 (previously S$8.36) and lowered our FY19e earnings by 2%. We peg our Target Price to 23.2x P/E, at SGX’s 5-year mean. SINGAPORE EXCHANGE LIMITED (SGX:S68)'s DDAV growth for January and February contracted to 2.4% y-o-y and 1.4% y-o-y respectively as compared to 24.1% y-o-y jump in 2Q19 (Oct’18 – Dec’18). The recovering global markets at the start of 2019 was a stark contrast to extremely volatile conditions in 2018. As a result, there has been a contraction in derivatives volume due to lower hedging activities. Hence, we cut our forecast for FY19e derivatives revenue growth from 27.4% y-o-y to 22.1% y-o-y. Meanwhile, SDAV showed no signs of recovery and contracted 38.6% y-o-y in February. The Hong Kong Stock Exchange (HKEX) announced on 11 March 2019 its plans to launch futures contracts on the MSCI China A Index, subject to relevant regulatory approvals. The MSCI futures contracts will allow investors to hedge their A-share equity exposures. Currently, SGX’s FTSE China A50 Index Futures is the only offshore futures contract tracking the Chinese A-share market. 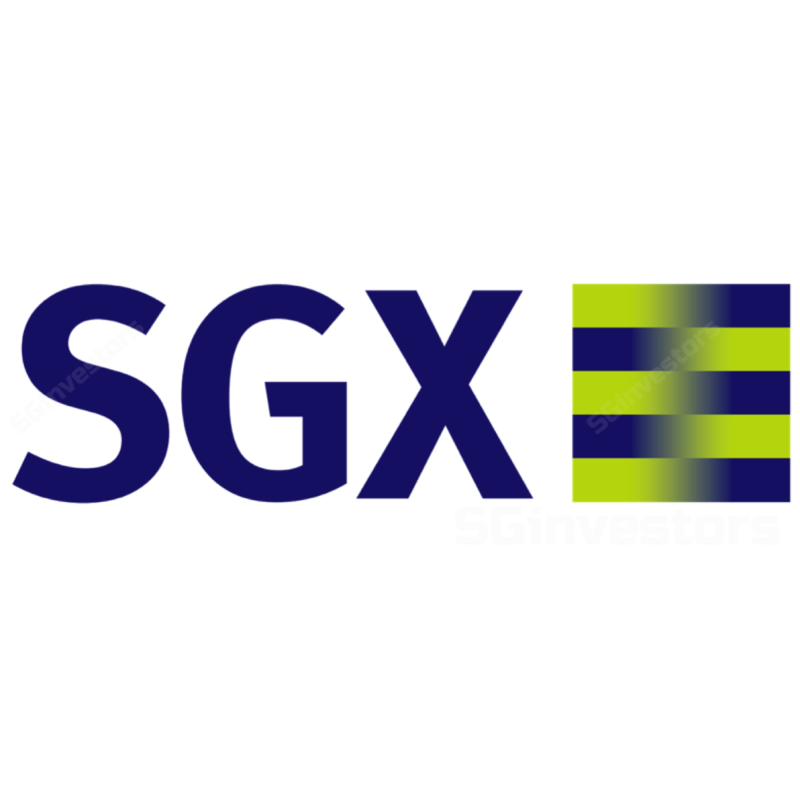 SGX’s derivatives business contributed to 50% of total revenue in 6M19 with the main driver being FTSE China A50 Index Futures which accounted for 43% of total trading volume YTD which puts SGX in a vulnerable position. If HKEX succeeds in its plans to introduce MSCI China A Index futures, SGX could face some competition as some customers will make the switch to HKEX and derivatives revenue might be dampened in the long term. SGX’s China A50 Index futures represents about 13% of total revenue. Assuming SGX loses 50% of its China A50 revenue, the impact to PATMI is around 8%. However, we do not expect HKEX’s plans to have a significant impact on SGX’s derivatives revenue for the FY19-20. Firstly, if HKEX obtains relevant approvals, the launch should be in November 2019. Secondly, HKEX will take months to build up liquidity and onboarding of clients’ systems. caters to customers’ needs to hedge currency exposures with SGX’s diverse FX exchange especially the USD-CNH and INR-USD FX futures. stronger than expected growth in DDAV and SDAV. We downgrade to ACCUMULATE at a lower Target Price of S$8.17 (previously S$8.36) as we peg our Target Price to an unchanged 23.2x P/E, at SGX’s 5-year mean. The reduction in Target Price was due to our lowered forecast for FY19e derivatives revenue growth from 27.4% y-o-y to 22.1% y-o-y which cut our FY19e earnings by 2%.